Mum, did you say that the Baxa's are too hard to drill? They make a really nice .5ml oral that is a little narrower than the 1ml. Wondering if it would work better for smaller mouths. Have you ever tried the EPS line of oral syringes? I haven't been able to cut off a tip from a Baxa with the knife, but I've never tried drilling them. I'll give it a go! No, I haven't tried those syringes, although I used to have a Monoject 10cc syringe that looked just like them (it wore out). I might give them a try - I'd love to see the 1cc syringe up close before I order one, though! I'll send you a sampler this week and let you try a couple of different things to see if they're worth offering. Typical, I got excited to finally find some of that drop-on ivermectin, only to find out that it can't be shipped to my country. Stupid government monopoly or customs or whatever the reason is. A couple of people recently mentioned having difficulty ordering Ivermectin on TLPM. I contacted Amazon.com, and received a response from a tech support person this morning. They said that the problem is not my site or the link, but something on the Amazon page itself. They are working on it, and supposedly will have it corrected soon. Please -- if anyone ever runs into difficulty ordering from TLP, let me know so that I can get it resolved quickly. Thanks! And sorry for any inconvenience. Each time I order something else I just try it to see -- no luck yet. You might want to contact Amazon or Revival about it? I'll definitely check into it, Talishan. Thanks. Amazon support has been practically zilch on this, so feedback like this really helps me. All the other Revival products I have ordered through your site have been delivered timely, in good condition, emailed tracking numbers, etc. Maybe a glitch in their system. I've had very good experiences with Revival, too. It seems that the bulb is no longer available through them, though. It's available through a 3rd party seller, but when you click on the TLPM link, it can't make the connection between the original listing and the 3rd party listing. If you're interested in ordering the item, Talishan, you can go through This Little Piggie to Amazon and order from the 3rd party seller. Should work; let me know if it doesn't. I'll need to take that link off this weekend to avoid confusion. Okay, let's see what happens so we'll know if this happens again. Clicking on the red underlined text takes you to a 3rd-party page for this item within Amazon. You can click on the seller(s); in this case there was only one, with a couple of negative comments but mostly positive. I bought one from the third-party seller and will post my results here. Sef, thanks for checking it out. Did you have any luck with your order, Talishan? Good news! THE BOTTLE SPRINGS ARE HERE! I have both the standard 5" springs (which fit all standard water bottles, from 8oz. to 32 oz.) 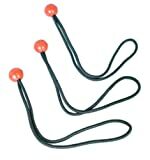 and the 6" springs (which fit non-standard, flat-back and larger bottles). I'll be putting them up on the web in the next day or so, but I need to know what would be the most useful way to package these: In sets of 3? Sell individually? In pairs, one of each size? Etc. I like the idea of sets of three. I think often people will have two bottles. It allows for misplacing them. I am assuming they are not all that expensive. If they were, individually might be a better option. Allowing for misplacement, they should be sold in sets of 2,678 each. Okay. Maybe forget that. I'd say sets of three or five each. I had fine luck with the third-party seller for the irrigation bulb. We have six males, so this was a big deal for me. The order was packed properly, shipped and received timely, and exactly as advertised. This isn't a blanket endorsement for Amazon third-party sellers, but so far I've had very good success with them. This one was no exception. He did fine. What about selling both in sets of 3 and as singles? That seems to be how I see a lot of stuff in stores. Ok help me out here. What's up with the big orange/yellow boxes on most of the items instead of prices and "order now" buttons in the health area? What's up with the big orange/yellow boxes on most of the items instead of prices and "order now" buttons in the health area? Lovely, aren't they? Apparently Amazon merchant links have a tendency to "short circuit" on occasion, and nobody can figure out why. Amazon is aware of the problem, but there is no "fix" for it at present. If you do a page refresh, they should go away. They also seem to pop up when I'm doing web updates, which I have been doing for the past half hour or so. Let me know if you run into any more issues with it after refreshing the page, okay? Amazon.com is (supposedly) still working on the problem with ordering Ivermectin. I have contacted several other sellers to see if they could list Ivermectin as an alternative to the KV Vet listing on TLPM, and am waiting to hear back. In the meantime, I have replaced the KV Vet listing with one by a company called Asena. I don't know anything about this seller, but recent ratings seem to show improvement in service. The price of their injectible is $24.99 plus shipping, which isn't too bad. Since they don't sell any other pet products, I'll be glad to send out either a free 1cc needled syringe or a free .5cc needled syringe to anyone who orders Ivermectin from Asena through This Little Piggie Marketplace -- just email me a copy of your order confirmation (minus any payment details). Also new is a section of products by guinea pig rescue groups, sold through CafePress. Be sure to check out the cute items! If anyone here runs a GP rescue that I missed and would like to feature a couple of products on TLPM, please email me and I'll be happy to add it. 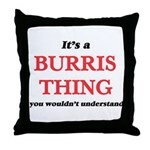 I also recently added a section for items from CafePress, that help support rescues. There are some great gift ideas here! If you run a rescue and have a CafePress shop that you'd like to me link to, just let me know. I'm still having some issues with Ivermectin, but have been assured today by the seller that they hope to have this problem resolved "very soon." In the meantime, I have an outside source that is not listed on the site due to shopping cart incompatibilty, so if you need to order Ivermectin from TLPM within the next week or so (and nothing says "Merry Christmas" quite like a stocking full of anti-parasitics), please email me and I'll send you the ordering information. Happy Holidays and thanks for shopping This Little Piggie Marketplace! I have 3 Cavy Kits remaining, and am placing them on sale for $21.95 (reg. $26.95) plus shipping until the end of December. New kits will be available after Jan. 1 at the regular price.